Soy sauce a staple of Asian cuisine is also used by people from around the world, both as a condiment and a cooking ingredient. 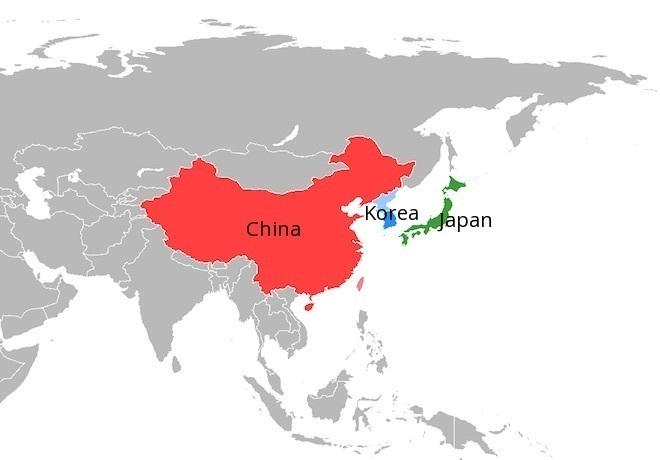 The origins of this versatile sauce originally used to preserve food and improve its flavor are in ancient China and Korea from where it spread into Japan and other neighboring countries, before its popularity in the west. 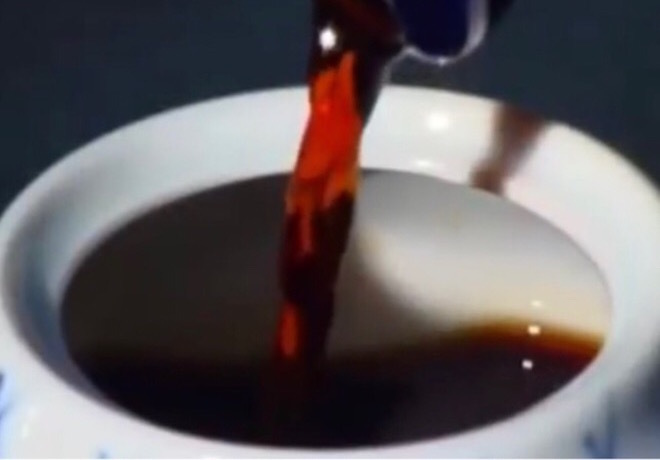 Today, artificially or chemically enhanced versions of the soy sauce can be cheaply purchased in many stores but yet there are a few genuine producers that use the ancient brewing and fermentation process of producing soy sauce, with the proportion of different ingredients, a well kept secret. The origin of soy sauce is rooted in a fermented soybean paste which was used to preserve food and also as a condiment to enhance flavor. Though the earliest records for this soybean paste are found in ancient China, the evolution of the paste to a soy sauce occurred over a period of many years in the neighboring countries of Korea and Japan. The Buddhist monks are largely attributed to the transfer of the fermented soybean paste from China to the neighboring countries in this region. Later through a process of experimentation and accidental discovery, the liquid that collected in the barrels of the soybean paste as a by-product, became the soy sauce. 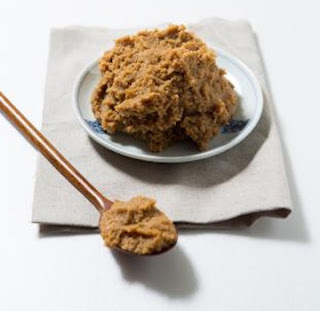 The fermented soybean paste is known as doujiang in China, doenjang in Korea and miso in Japan. 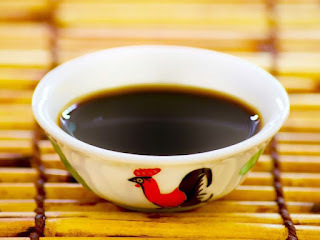 The history and the origin of the soy sauce is influenced by the soybean paste and its ancestor the Chinese jiang. The predecessor of the soy sauce originated in ancient China in the form of a fermented paste called 'jiang'. 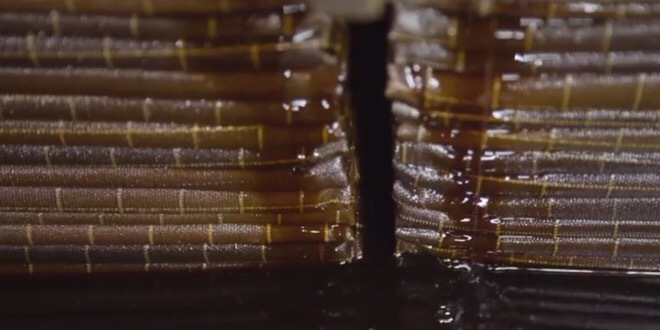 The early reference to this fermented paste can be found in the Han dynasty, listed on the bamboo slips found in the Han Tomb 1 at the Ma-wang-dui archaeological site located near Changsha, China. 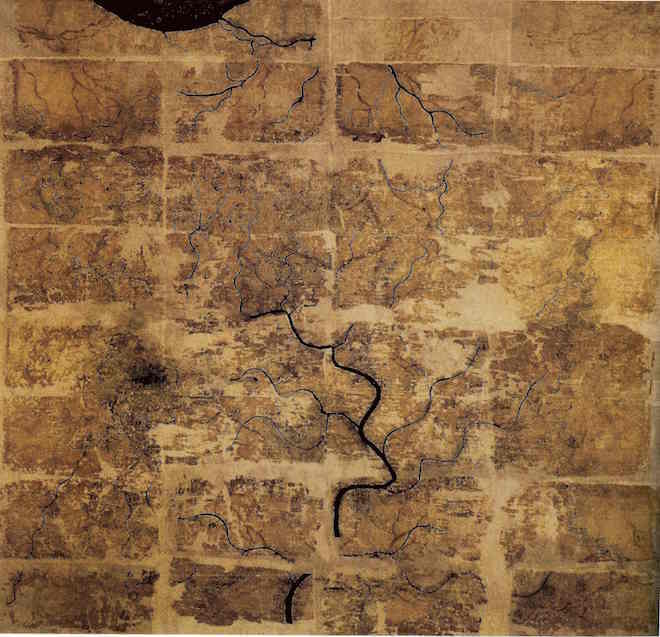 The word 'jiang' is also found in the silk manuscript discovered in Han Tomb 3. The term 'jiang' or 'chiang' was initially used to refer to a wide variety of pastes produced from meat, vegetables, seafood and grain, but by the time of the Western Han was more specifically used to refer to a fermented paste made from soybeans. This was known as dou-jiang where the prefix dou which means soybean, implied the raw material used for making the paste. The creation of jiang was based from the need to preserve food and subsequent discovery through experimentation that when meat, seafood and later soybeans were salted or immersed in a mixture of salt and rice wine or water, their protein was broken down by enzymes into amino acids, which in turn stimulated human taste buds, augmenting the flavors of other foods. 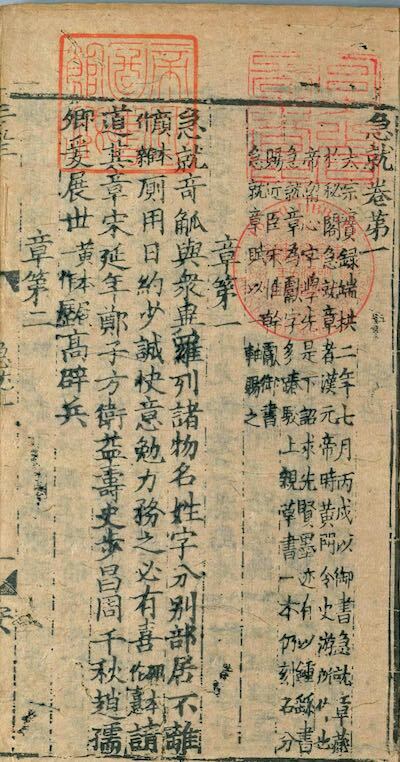 The earliest literature reference to jiang as a fermented soy paste is found in the Chi Chiu Pien, composed in the 2nd half of the first century BCE where it says that soybean and wheat flour are mixed to produce jiang. 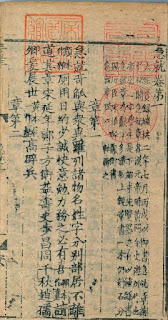 A more detailed description for the preparation of jiang is found in the Chi Min Yao Shu, a Chinese agricultural encyclopaedia of the 6th century. Subsequent references of jiang in Chinese literature show the evolution in the preparation of the soy paste. In the 8th century work titled Ssu Shih Tsuan Yao (Important Rules for the Four Seasons) the recipe is simplified and the process of fermentation is more streamlined. In Korea the fermented soybean paste known as 'doenjang' and the fermented soy sauce as 'kanjang' have been in use for over 2000 years and are an integral part of the Korean cuisine. It is generally recognized that Korea played an important role in the early experimentation of soybean fermentation and subsequent production of the soy sauce. The traditional fermentation techniques in Korea were known to be far advanced and a major influence in the early production of the soy sauce. The term 'Shi', the Chinese letter indicating meju, which is the dry fermented soybean used in the production of Korean soy sauce, first appears in Jijiupian a Chinese primer compiled by Han dynasty scholar Shi You (48-33 BCE). According to the Bowuzhi, a Chinese compendium by Zhang Hua, the term 'Shi' originated in a foreign country, and the letter is a dialect. In the history book of Wei, the Chinese dynasty that existed during the period of the Three Kingdoms in the 3rd century, the fermentation techniques of the Korean people are acknowledged and praised. Miso in Japan refers to a fermented soybean paste which influenced the creation of the Japanese soy sauce. Before the miso, the Japanese people are known to have developed condiments by pickling salted fish and meat called hishio. 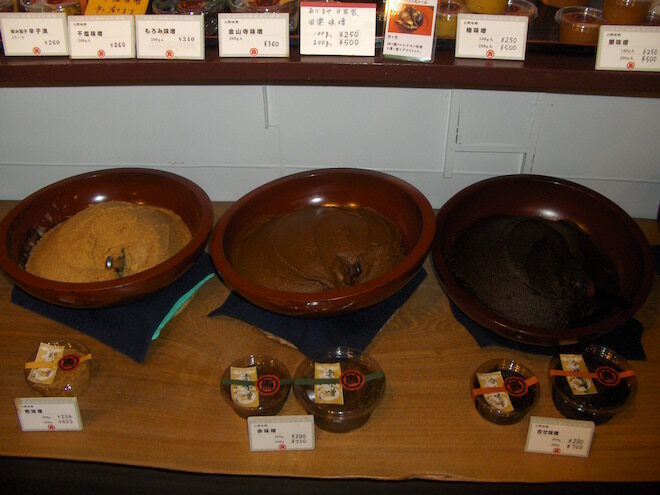 Fermented soybean paste was likely introduced to Japan at the same time as Buddhism in the 6th - 7th century. In Japan, the fermented soybean paste took its own identity, referred to as miso, with different flavor and texture than the Chinese doujiang, and later influenced the creation of the Japanese soy sauce. A reference to the miso can be found in the Wamyō ruijushō , the oldest existing Japanese dictionary from the 10th century, which states that miso is produced in the countryside. During the Kamakura period (1185–1333) miso became a staple in the Japanese diet. It was during the Kamakura period in the 13th century, that a Zen monk, in the town of Yuasa, is said to have noticed, that the liquid collected in the barrels of the miso paste as a by-product had a flavorful taste, and so the Japanese soy sauce was born. By the middle of the 17th century the process of producing soy sauce in Japan had been established and began to spread throughout the country to keep up to the demand for this flavorful sauce. The production of natural soy sauce is an ancient art which has been refined over the centuries. Today, most of the natural soy sauce found in stores is produced by automated processes, yet the fundamental brewing and fermentation process has not changed over the centuries. Though the ingredients and the process of making soy sauce are well known, the proportion of different ingredients is a well kept secret. The five main ingredients for making soy sauce are soybeans, wheat, water, salt and mold. Soybeans : The unique characteristics of soy sauce comes from the proteins contained in the soybeans. Wheat : The starch in the wheat gives soy sauce its sweetness and imparts a soft more balanced flavor to it. Salt and Water : The combination of salt and water called the brine acts as a preservation, by suppressing the destructive organisms and decay causing bacteria during the fermentation process. Mold : Used to ferment the soybeans and wheat. The scientific name for it is Aspergillus oryzae. 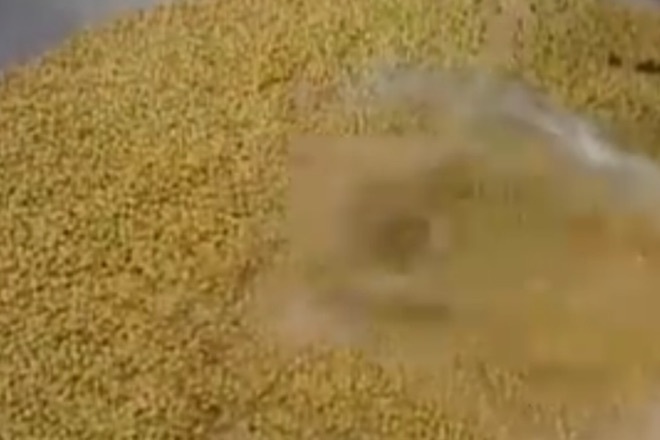 The process is started by pouring the soybeans in a vessel called steam kettle. 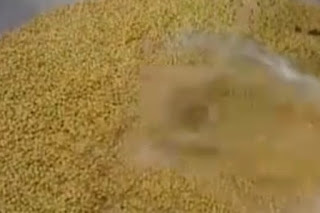 After rinsing the soybeans, the kettle is filled with water, the soybeans are soaked and then steamed at a high temperature. The soybeans are then taken out of the kettle and spread out in large trays to cool. The wheat is separately roasted and then crushed by rollers, which helps the mold access the starch in the grain during the fermentation process. 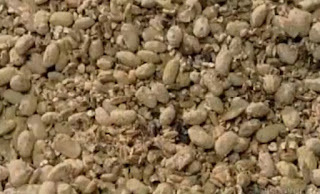 The crushed wheat is then mixed with the soybeans, and the mold is added to the mixture. The trays containing the mixture are then moved to a temperature controlled incubation room to activate the mold. The salt and typically spring water are mixed together in a barrel to create a brine and the soybean mixture added to it. This is called the soy-and-wheat mash which is sealed in the barrel to ferment. During the first few weeks, the barrel is opened once a day to stir the mixture and allow aeration to keep the mold active while also allowing the combined flavor of the different ingredients to develop. 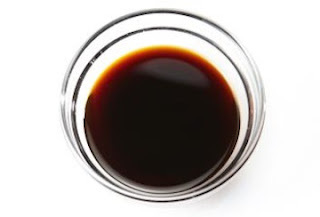 The fermentation process lasts between 6 to 12 months for most commercially produced soy sauce, during which the mixture is repeatedly stirred. 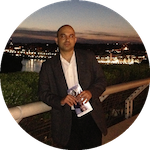 Some producers may use a longer fermentation period to create a more richer flavor. After the fermentation has completed the matured soybean mixture from the barrel is poured into a stainless steel press containing a fabric. The fabric is wrapped around the matured mixture and wood planks are placed on top of it. The planks are then mechanically pressed downwards on the matured soybean mixture, to extract the liquid from the mixture, which is collected through a tube at the bottom of the container. This liquid is the raw soy sauce. The raw soy sauce is then clarified and heated to halt the activity of the enzymes and stabilize the quality of the soy sauce. The flavor, aroma and color of soy sauce is generated by the fusion of the soybeans, wheat and salt that are the main raw materials. The flavor is a balanced composition of sweetness, acidity, saltiness, and bitterness derived from the optimum blend of ingredients, using the ancient fermentation process. 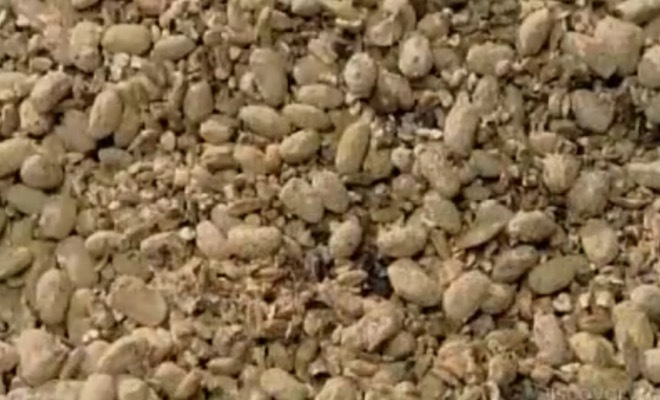 The fermentation of soybeans and wheat by the mold creates a complex composition of amino acids from the soybeans and organic acids such as lactic and acetic acid from the starch in the wheat, to give soy sauce its rich unique character.